HHS Secretary Alex Azar expanded on Trump's recent drug pricing speech, noting that government negation of drug prices would have limited effects. Azar also repeated that he wants drug companies to include prices in television ads. 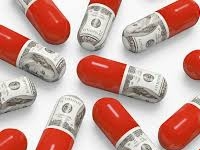 CP3 Director Walid Gellad offered his opinion of the plan in the Washington Post, explaining that the new proposals likely will not lower drug prices as much as promised.